The largest Earth science funding agencies in the United Kingdom and the United States are collaborating to investigate one of the most unstable glaciers in Antarctica. The US National Science Foundation (NSF) and UK’s Natural Environment Research Council (NERC) are teaming up to study a rapidly changing glacier roughly the same size as Florida or Britain. See a short overview of why Thwaites Glacier research matters. 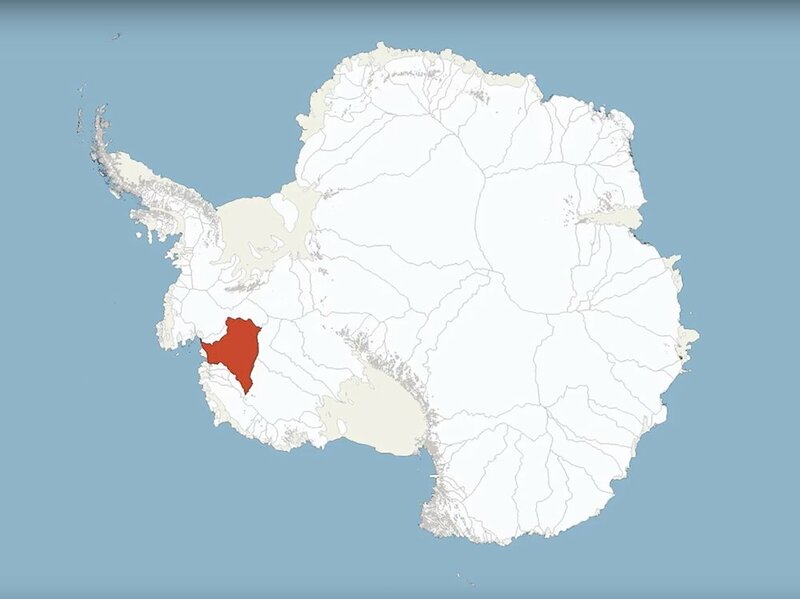 The NERC and NSF partnership, called the International Thwaites Glacier Collaboration (ITGC), covers research across Thwaites Glacier and its adjacent ocean region; the glacier flows into Pine Island Bay, part of Amundsen Sea. ITGC is the largest joint UK-US project undertaken on the southern continent in 70 years. Over the past 30 years, the amount of ice flowing out of this 120-kilometer-wide region has nearly doubled. Overall the glacier is the size of the island of Britain, or the state of Florida, and it straddles some of the deepest bedrock in the southern continent. Warm ocean water from the Amundsen Sea circulates under the ice, causing it to melt. Melting loosens the ice from the bedrock below, causing it to flow faster and eventually to retreat into the deeper and thicker ice areas where it is likely to speed up still more. Starting in 2018, and over the next five years, teams of scientists will explore the ocean and marine sediments, measure currents flowing toward the deep ice, and examine the stretching, bending, and grinding of the glacier over the landscape below. The project will involve more than 60 scientists and students. The above schematic summarizes the fieldwork and methods that will be employed at Thwaites Glacier and the southern Amundsen Sea Embayment shelf. Research cruises in 2019 and 2020 will collect information about the seafloor bathymetry and subsurface along with sedimentary cores from the grounding-line proximal to the distal glacimarine. A Kasten core barrel is poised ready to plunge into the floor of the Ross Sea in 2015. Cores are collected by impact of the barrel into the seafloor substrate. Kasten core barrels can penetrate up to three meters into marine and glacial sediments that represent the time period since the last glacial maximum. Research cruises to the Amundsen Sea in 2019, 2020 and 2021 will provide opportunities to collect similar cores from the seafloor, offshore from Thwaites Glacier to investigate the records of past glacial and ocean change that are recorded in the sediments. 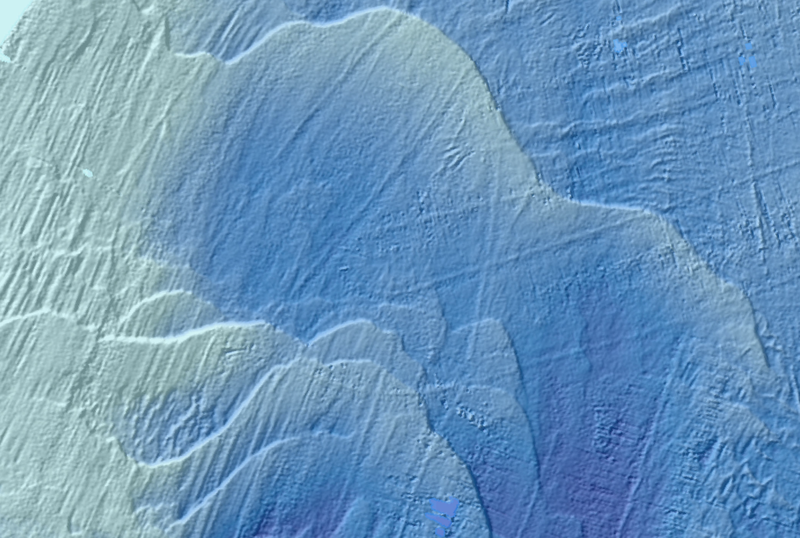 Multibeam swath bathymetry systems produce maps of features on the seafloor. Around Antarctica, this type of data is used to track ice flow and retreat in the past using preserved glacial landforms exposed on the seafloor. The newest systems use high-frequency (12 kHz) sound pulses, which bounce off the seafloor through a known water depth to a source located at at the surface, that achieve centimeter- to meter-scale resolutions. Hillenbrand, C.-D., Smith, J.A., Hodell, D.A., Greaves, M., Poole, C.R., Kender, S., Williams, M., Andersen, T.J., Jernas, P.E., Elderfield, H., Klages, J.P., Roberts, S.J., Gohl, K., Larter, R.D. & Kuhn, G. (2017): West Antarctic Ice Sheet retreat driven by Holocene warm water incursions. – Nature, 547: 43-48. Graham A.G.C., Dutrieux, P., Vaughan, D.G., Nitsche, F.O., Gyllencreutz, R., Greenwood, S.L., Larter, R.D., Jenkins, A. (2013). Seabed corrugations beneath an Antarctic ice shelf revealed by autonomous underwater vehicle survey: Origin and implications for the history of Pine Island Glacier. Journal of Geophysical Research: Earth Surface, 118(3), 1356-1366.